The knight detachment under the command of a noble seignior is the main gameplay unit for Western European armies in our game. It consists of the seignior's vassal knights and sword bearers. The combat power of knights (the most combat-ready, well-armed and equipped fighters of the Middle Ages and our game) is manifested most effectively when they act as a detachment. 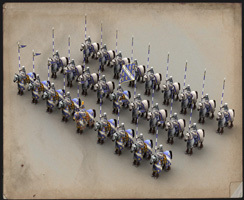 A knight detachment is the primary strike force and a valuable elite unit at the same time. That is why there are few of them in the game, and why each detachment is unique. The most distinctive feature of the detachment is the seignior's blazon, which appears on the banner, knights' cottas and shields, horse blankets, and sword bearers' shields. 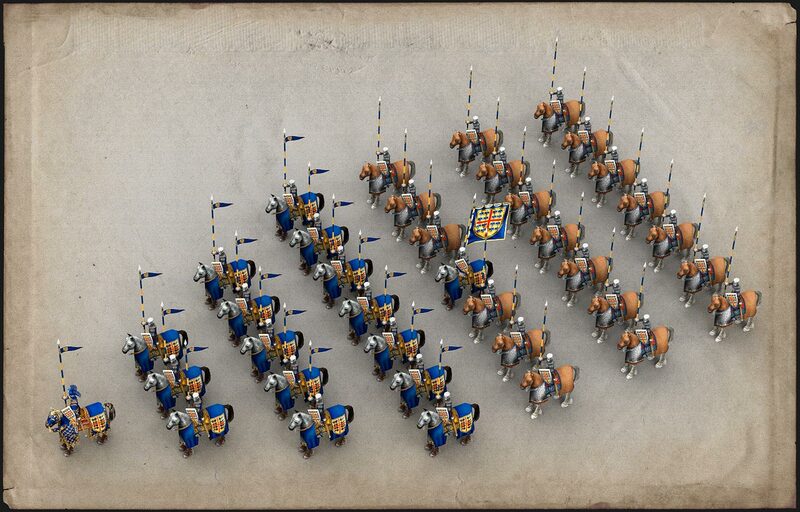 This makes it impossible to confuse two knight detachments, even if they're fighting on the same side. This also makes it possible to demonstrate the diversity and spectacle of medieval heraldry. 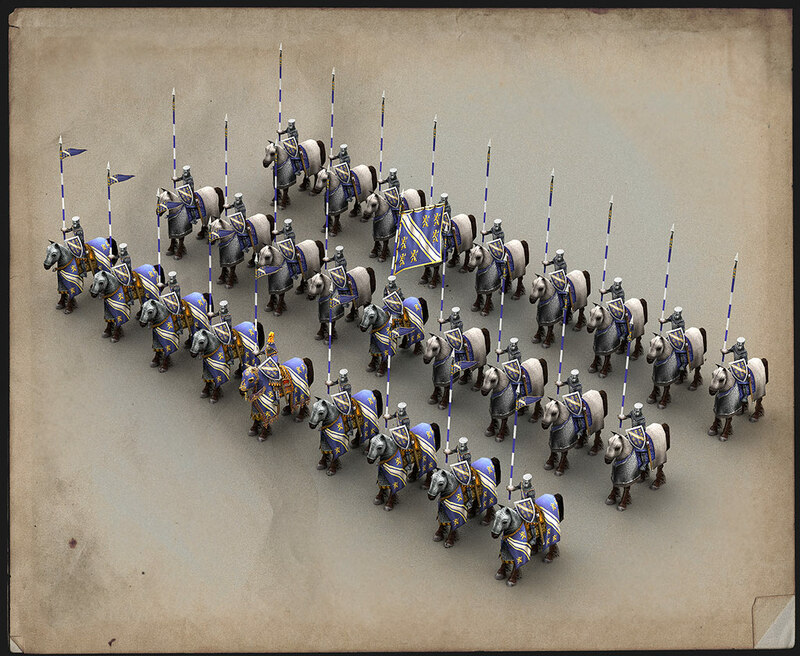 The real prototype of our knight detachment is a "banner," the primary tactical unit of medieval knight armies (an alliance of minor "lances", each comprising a knight and his surroundings, namely servants and sword bearers) under the command of a noble seignior. 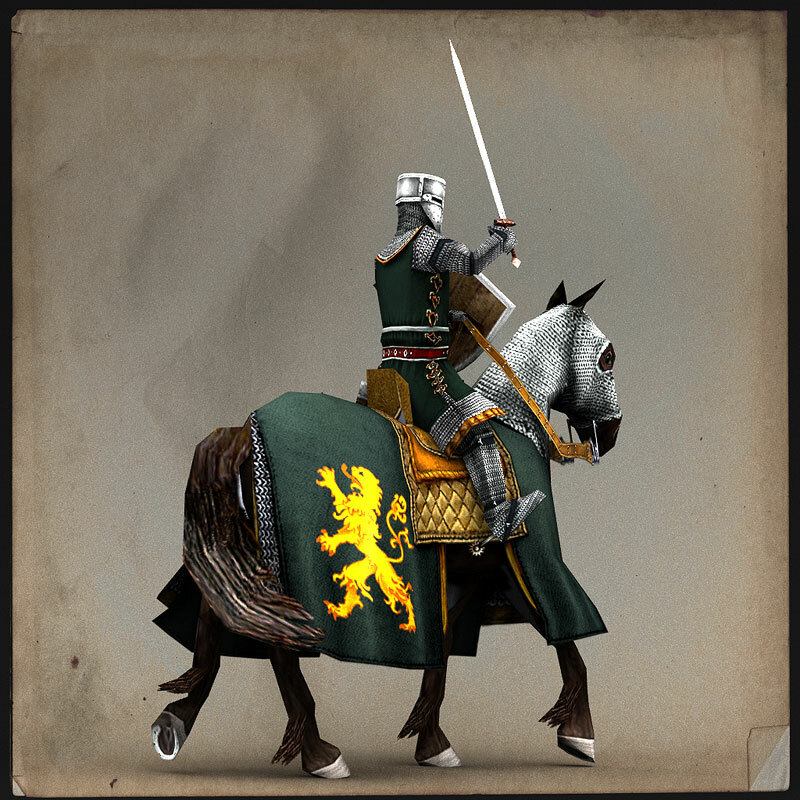 In order to single out the detachment commander, we styled the outfits of knights and sword bearers in accordance with mid-thirteenth century standards, and those of a seignior in accordance with late thirteenth century standards, mostly those that applied to tournaments. 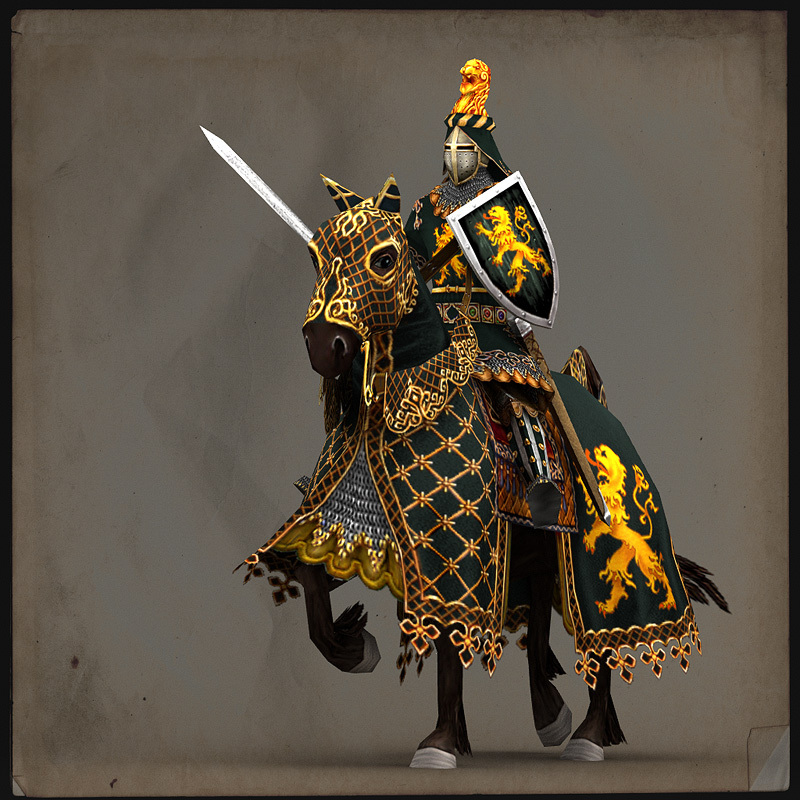 You can familiarize yourselves with the main components of a knight detachment, using the detachment of Duke John I of Brabant as an example: the seignior duke, his vassal knights and a sword bearer. Success of a knight detachment largely depends on the type of constellation. The type is determined by the mission assigned to the detachment. The mission also determines the place of each unit in the constellation. 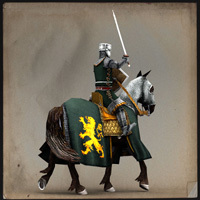 For example, when a mounted or on-foot attack is undertaken, the knights must always be positioned ahead as the main attack force, and the commander should provide the lead. This principle guides the structure of two main constellations used by the attacking knight detachment: a linear battle pattern and a spearhead. 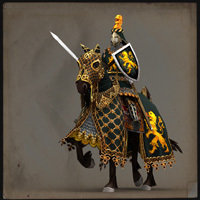 The first rank or the edge of the spearhead consists of knights led by a seignior. They are followed by a flag-bearing knight and sword bearers in the next ranks of the constellation body. The density of constellations may be different, which is important during both offensive and defensive operations. For instance, an on-foot knight detachment, while rebuffing attacks from all sides, may form a tight circle that not every enemy can break. Here, you can also see examples of a mounted knight detachment's attack constellations: the spearhead of Matthieu de Montmorency, the hero of the Battle of Bouvines and subsequent constable of France, and the linear battle pattern used by the detachment of Henry de Bohun, a leader of rebellious barons in the Battle of Lincoln, constable of England. 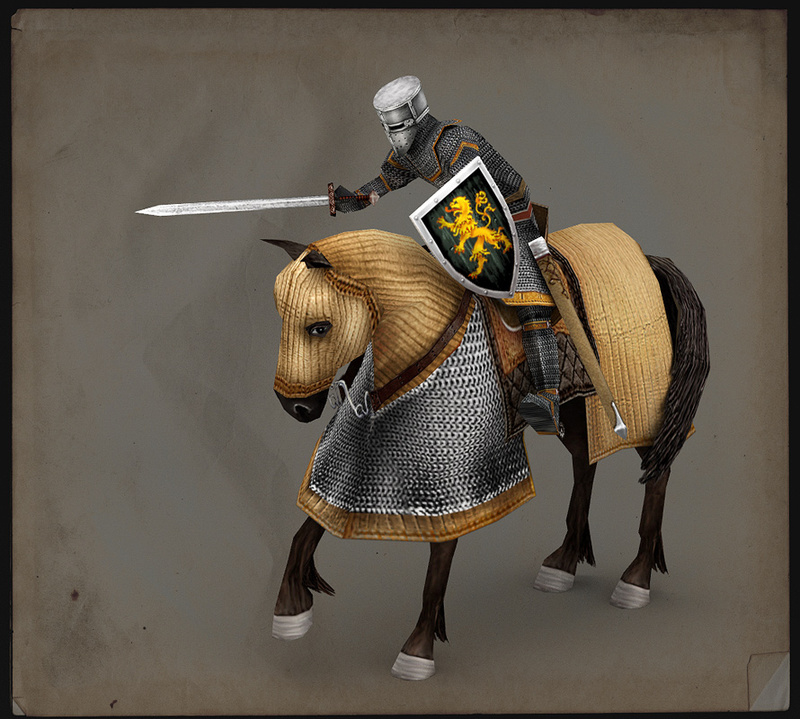 Make the most of the capabilities of knight detachments in the game. Don't waste them, but if the need exists, don't hesitate to plunge them into the thick of the battle, and they will bring you victory.